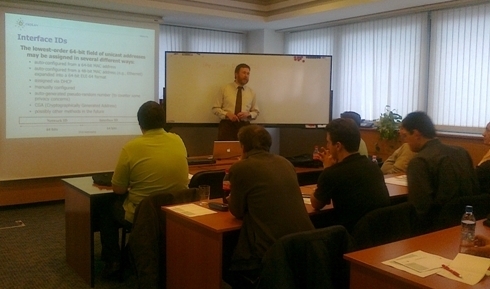 This tutorial titled "IPv6 deployment tutorial - from intro to practical considerations" took place within the annual seminar/workshop of Alcatel-Lucent, in Hungary. Individuals present at the workshop included János Mohácsi (NIIF/Hungarnet) representing 6DEPLOY. János Mohácsi was in charge of presenting IPv6 Tutorial.